It's tough to get work done and enjoy your personal time when there are calls coming in 24/7. The JRA Call Center is here to help. Tired of getting interrupted by customer calls in the middle of jobs and family time? 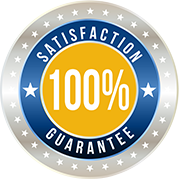 The Call Center JRA is the product that our owners were happiest to get. Having a call center meant the company could still take every customer call, but the owners weren’t slaves to their phones any more. JRA can help you match with customers using our marketing tools and strategies, but without the call center, you must be outstanding at locking down appointments for all that web traffic to pay off. You also have to answer the phone every time it rings. Potential customers call at all hours of the day and night to ask questions and schedule service. You have to answer, and you must have the phone skills to close on those jobs. That’s where the JRA Call Center can help. You aren't a slave to your phone. If you are in the middle of something, simply set your calls to forward to our call center and we've got you covered. The customer believes they are speaking with a representative who works directly for your company. There is no fancy-sounding phone system. The phone simply rings and a live representative answers, so customers believe they are speaking directly with a local company representative. When customers contact you via text or email, our representatives are notified and respond to those inquiries immediately. JRA Call Center reps know all about Junk Removal and understand how to lock down appointments. Our call center reps go through constant training and we closely monitor our closing rates. With our special training, JRA Call Center closing rates are often far better than those business owners can produce on their own. Simply pay a $250 monthly access fee and $20 for every job we book. That's it. You only pay for business that is going to pay you. Ready to experience true freedom and take back your personal time?